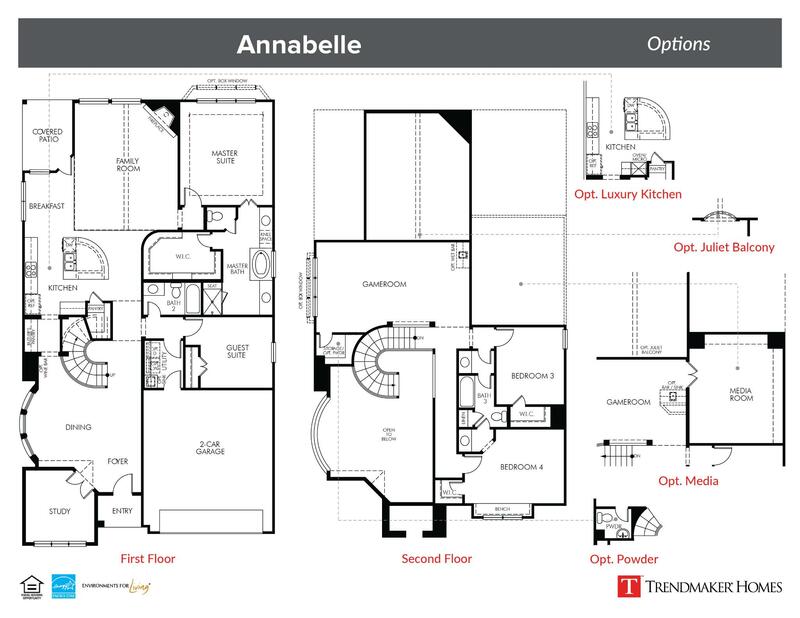 This elegant floor plan provides ample space with a flowing layout that is sure to impress. It’s beautiful, curved staircase is the perfect complement to the formal dining room, which features tall windows to allow for ample lighting as you enter the home. With convenient access to the kitchen through the foyer or butler’s pantry, you will find it incredibly easy to host the perfect dinner party. The kitchen features a large, curved center island, stainless steel appliances and opens to a spacious family room with fireplace. Adjacent to the family room is the master suite, complete with a huge walk in closet and master bath with split vanity. Additionally, the study, guest suite and utility room can all be found on the first floor; with gameroom and additional bedrooms and bath located on the second floor.